The difference between winning and losing at the show tables is always found in the details. 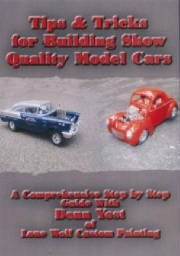 Watch and learn as Donn Yost takes you through the many tips & tricks he has developed over the years building show quality model cars. 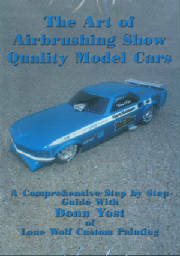 Proper decal application, weathering, engine detailing and bare metal foiling are but a few of the subjects covered. Your only limitation is the extent of your imagination.